Lladro Online Auction (signed by Juan Lladro) SOLD 10 December 2008 @ USD $5,500. The year 1992 was the five hundredth anniversary of the discovery of American by Christopher Columbus. 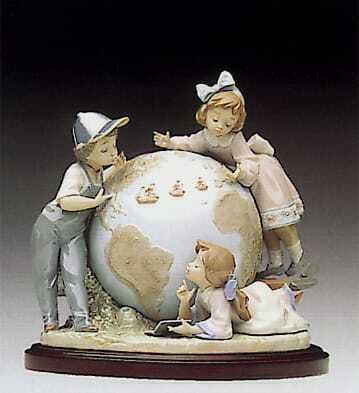 In commemoration, Lladro introduced this sculpture as the 1st Limited Edition to The Lladro Collector's Society.